How to buy from Kumoten? Congratulations on your first sale! 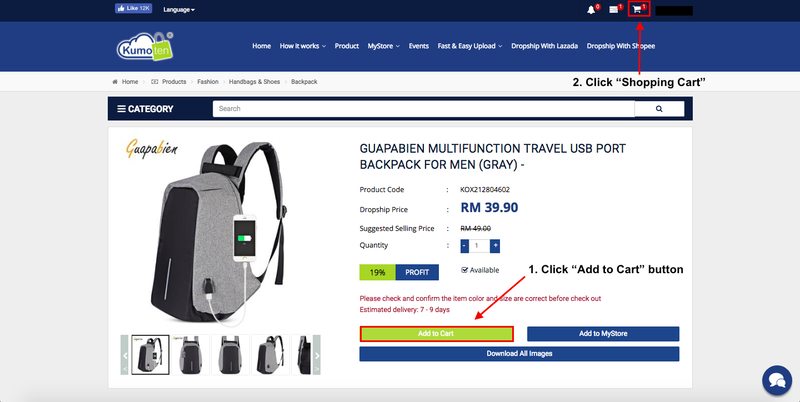 So in this section, we teach you how to proceed to purchase the item so that it can be sent to your customer. 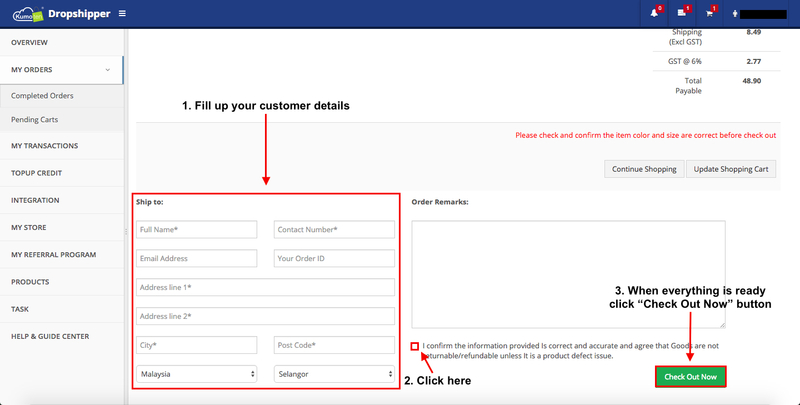 Select a product and go to the "Shopping Cart"
Please fill up your customer details as below. 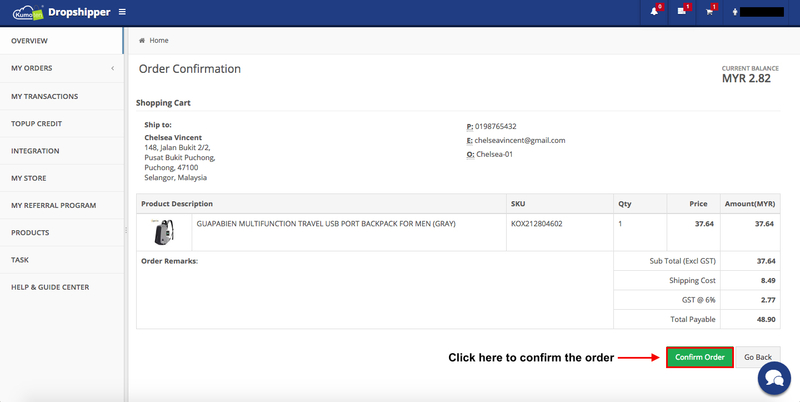 Check the information that needs to be confirmed and click the "Check Out Now"
*Example on how to fill up the address column. Please do not copy and paste the same address on 'Address 1' in 'Address 2'. Please follow the guide below. 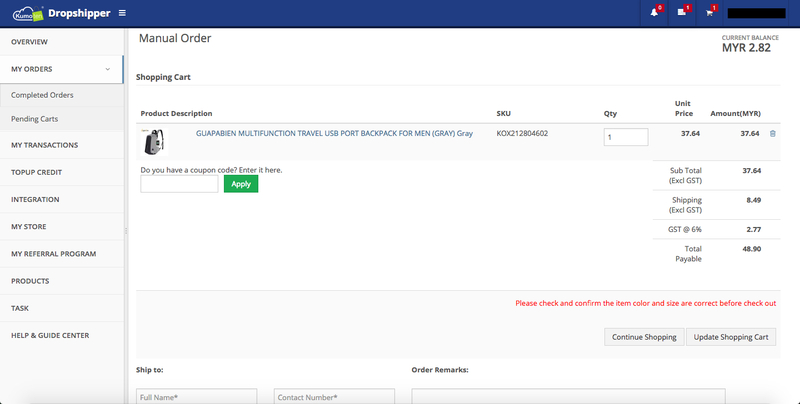 Double check all the information, if everything is ready, click "Confirm Order" button. Be sure to check our website on a monthly basis for a new discount code! Happy Selling Dropshippers! *Please note. Please allow at least 12 to 24 hours to sync IF item does not appear immediately. After which you can contact our customer service department via email at [email protected] or WhatsApp us at +6019 331 0990. Our operating hours are from 9.00am to 6.00pm, Monday to Friday only. We are closed on Saturday, Sunday and Public Holidays.